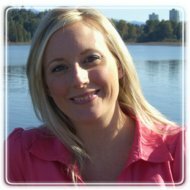 Coquitlam Therapist: Allison Bates - Therapist V3B 2H6. Send A Message To Allison. Allison Bates is a registered clinical counsellor and owner of West Coast Counselling. Allison has a Master's degree in Counselling Psychology and over 15 years experience working with individuals, couples and families from a variety of backgrounds. She understands how difficult it can be to take the initial step for counselling. Allison is a caring, empathic counsellor that truly cares about helping you achieve change in your life. Although Allison's education has included many therapy modalities, she especially finds using cognitive behavioral therapy very useful to work with issues such as depression, anxiety and self esteem. CBT works by helping to challenge negative thought patterns to enable the person to have a realistic, positive self image and break the cycle of negativity in their life. By learning these practical tools, you can achieve positive change. Allison has a central location near Coquitlam Centre mall as well as in downtown Maple Ridge.